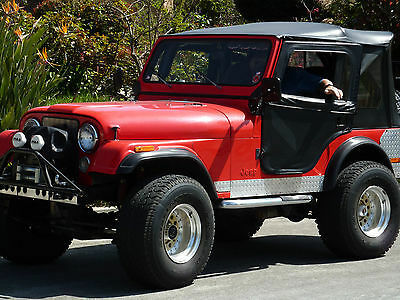 CJ5 1977 Jeep with 1987 Engine, Put together by Toyota Shop Manager. 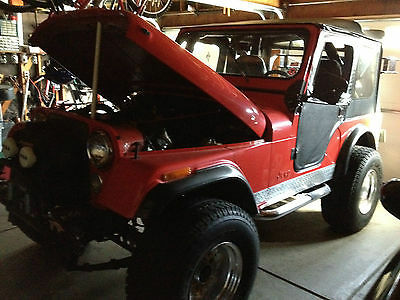 Jeep stored in Garage with very little use. 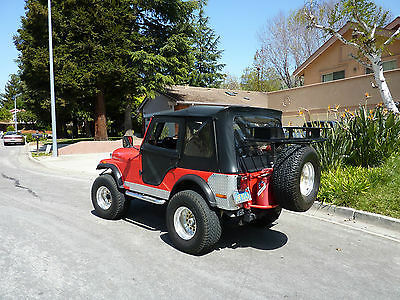 Brilliant Red, Full Cage Roll Bar, Kenwood Stereo CD 5 Loader, Crome Wheels with Identical 5th Wheel Spare attached on back, Rear Luggage Rack with Dual 5 Gallon Spare Gas tanks on rack, Warn Wrench, Fog Lamps, Chrome step bars, Chrome Diamond Guards on lower rear Body, Full Canvas. This Jeep is Ready Role! 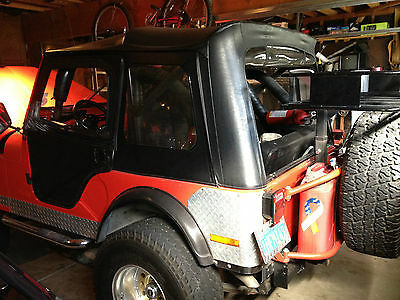 This Jeep has been on a couple of rugged off road trips handled with ease then cleaned and stored in the garage.